This product will add 0.23€ to your cashback account. The next generation of classics. A move so deceptive and yet so simple is what will make Vanish & Switch every performers new hook. It's time to take the next step in false transfers, vanishes and switches. Use it to vanish a coin in front of a small girl or to switch a borrowed ring in a venerate gathering. 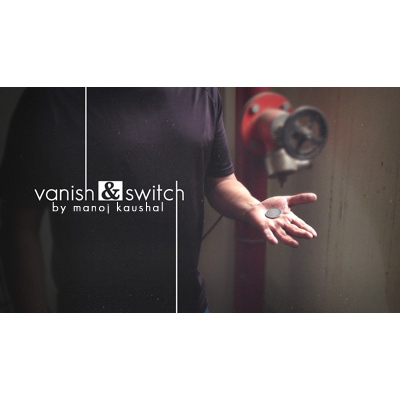 Vanish & Switch will always deliver you the ease and impromptu feel of the classics. It's not a sleight, its simplicity.